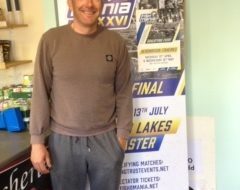 This Fish ‘O’ Mania qualifier held at Makins Fishery on 27th April 2016 started with one of the hardest frosts of the year. With the weather forecast warning of severe squalls with snow, hail and rain to come, the mood at the draw was decidedly glum, despite the fishery having been on generally good form of late. Sad to say the forecast was spot on with several heavy showers and massive drops in temperature occurring throughout the day. Needless to say this had a significant impact on the fishing, and was so bad that a number of anglers were biteless at the end. It was clear the fish were quite tightly shoaled in certain areas giving those anglers lucky enough to locate them a reasonable day’s fishing. Lake 5 on Phase 1 dominated proceedings yielding four of the top six and producing some respectable backing weights too. The winner was Londoner Przemek Solski. Przemek drew end peg 28 on Lake 5 and caught a good stamp of carp to 12 lbs fishing short on meat to record a brilliant 94 lbs 8 ozs. 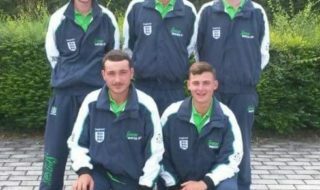 Brendan Haigh from Doncaster was virtually opposite Przemek on peg 15. Brendan used pellet and corn down the edge to catch mainly carp in his total of 66 lbs 12 ozs. His biggest fish was around 15 lbs. 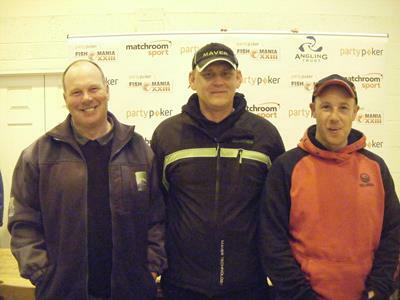 Third spot went to Fisho regular Stephen Openshaw . Stephen a fishery owner from the Wirral drew peg 10 on Little Reptile pool and put together a great weight of 65 lbs 8 ozs fishing pellet down the edge. England man Lee Kerry took fourth with 62 lbs 12 ozs from Reptile 4. 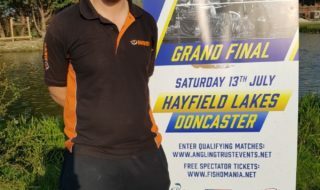 Welsh International Jonathan Harvey was fifth with 61 lbs 12 ozs from Lake 5 peg 30 just “ouncing” Ashley Price, a few pegs away on 39, who weighed 61 lbs 6 ozs. The Fish ‘O’ Mania action heads to Tunnel Barn Farm on Saturday 7th May 2016.